With the New Year brings another General Assembly session in Richmond that is sure to be interesting and busy! 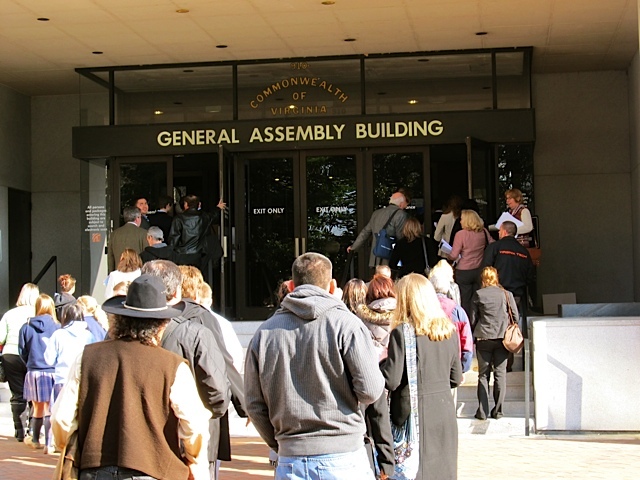 Despite a significant budget shortfall that promises to make for some lively debate and funding decisions, the Virginia Catholic Conference has adopted a robust agenda for the upcoming session that convenes on January 14. Priorities for the Conference during session will include preserving prior pro-life gains, chipping away at the death penalty, defending religious liberty, ensuring equal access to college for immigrant youth, and protecting the state safety net against budget cuts. These agenda items reflect our call as Catholics to exercise faithful citizenship not only by voting in November, but also by advocating throughout the year. Will you become a much-needed partner in advocating for these and other priorities? Learn more about the issues for which we’ll be advocating at the upcoming General Assembly session by joining us Saturday, Jan. 10, at a special discussion titled “A Catholic Perspective on Issues before the Virginia General Assembly 2015.” The event will be held at Holy Family Catholic Church, Dale City. See the flyer here. In addition, make the case for the common good to legislators in person by joining Arlington Bishop Paul S. Loverde and Richmond Bishop Francis X. DiLorenzo at Catholic Advocacy Day in Richmond on Thursday, January 29. The day begins at 8:45 a.m. with prayer and issue briefings (registration starts at 7:45 a.m.) followed by constituent visits to legislators’ offices, Mass, lunch, and debriefing. Register and learn more at www.vacatholic.org. Finally, stay involved in working for a better Virginia year-round by signing up today for the Virginia Catholic Conference’s Advocacy Network to receive regular action alerts and updates on key legislative issues. To join, go here and complete the short form provided. Alerts include pre-drafted messages you can send to your elected representatives with just a few mouse clicks. It’s quick, timely and effective advocacy!